Is the string cutting the grommets or only the knots?? I knicked my knee with it at one point when I had accidentally hit myself with my serve. It is a really dangerous string!!! Who is still playing with it?? I’ve been using full bed of ALU power 17 gauge. But lately I’m using the ALU power main with UC cross and this is a great combo. Some have mentioned that the flat UC is great for the cross string because the way it enables the main to slide freely. I am staying with this set up, the ALU with the UC cross plays much better than the full bed ALU does. I used it as a cross with gut and it was fantastic. You just have to really take your time weaving your crosses so that the string stays flat and doesn't twist. One slice bh, one spin fh and adios gut!!! Lol.... I understand your skepticism. I figured...wth..... I had a half set of each.... So i tried it out. It was pretty great and the gut wasn't chewed up. I made sure to carefully string the uc so that there were no twists in the crosses... Layed it out flat across the gut mains. I only played it for an hour but it was a solid hour of hitting... Heavy topspin shots. 4.5 (me) and 5.0 ( recent college player). It was definitely a more powerful gut setup but still had plenty of control. Here's what's even funnier.... I put this in a tw demo racquet. A yonex sv98+ to be exact. Let us know after 3 hours. I recently came back to UC after switching to something else for the past 6 months. I lowered the tension to the low 40's in a 16X16 racket and holy crap it's magic compared to what I was using. Not only does the UC produce more spin. the thick cross section square shape doesn't notch ever..... I was breaking the Wilson Revolve Spin 17 in about 6 hours of match play. I'm pretty sure the UC would go for 20 hours in nearly pristine condition. I wouldn't recommend this string for anyone not using an open pattern racket and hitting with anything but full topspin off both wings. This is my second reel of UC. I'm pretty sure the UC would go for 20 hours in nearly pristine condition. I wouldn't recommend this string for anyone not using an open pattern racket and hitting with anything but full topspin off both wings. This is my second reel of UC. Now sure what you're hitting with your racquet. Marshmallows? UC is among the shortest useful playing life of any string I've ever used. Literally a couple of hours and it's done. Terrible, terrible string. If you want something square go with the newer WC BlueRock which has better tension maintenance for sure - even if still poor by broader standards. I'm currently using Ultra Cable as well, and I think it's been very good all around. I've only got about 10 hours total on the strings, but it's maintained it's playability quite well, and I also think the square shape not only helps with grip and slip for spin, but as you mentioned, durability as well. I'm going to try and play this current stringing as long as possible to see how far it can go. 20-30 hours was what I used to get on my previous polys, but I think this string might go 40 hours. We'll see. If you get the reels on sale or shop around you can find them for just under $100. For me that's $5 per stringing since I play with a small frame. If I double the string life too, that will be a "reel" big bonus. I'm surprised you've had such bad luck with tension maintenance on it. It's been very good for me. What tension are you stringing at and are you using a lock out machine or constant pull of some sort? My current stick is strung at 52/36 on a Stringway CP drop weight. I haven't noticed any appreciable change in playing characteristics since I strung it. About half of my hitting time on it is singles rallies and drills with a bit of point play thrown in. The other half has been doubles. I think the lower tension on UC is the key. Also, I'm not very tension sensitive. I'm well aware of the fact that if I string it at ~44 it's going to be in the mid 30's within an hour. The mid 30's just don't bother me. I'm basing my review on the fact that I'm 8 hours into my last stringing and the mains are still sliding with no resistance and there's zero notching. Also, I don't patty cake the ball, I broke my last syngut attempt in 25 minutes. I've broken a few 18g strings before in 30mins or less, but I think 16g syn gut was lasting me about 4-6 hours when I switched to poly many years ago. Then the poly was breaking in 8-10 so I moved to an 18x20 frame. That was the best thing. It basically doubled my string life. Now I'm using an old school Rossignol frame that's only a 16x17 but it's also only 82 sq. in. so that helps a bit. I've been using them less than a year so I've only had a couple different strings in them, but they use less string and they are super flexy so I think that helps a bit too. All I can say is if the UC holds up like it has been, I don't see any reason to move to another string. I'm using a Prince Tour 100T ESP. It's 16X16 and a pretty low RA by modern standards(60ish + Ports so effective RA of 57-58). I chewed threw Gosen Micro in just the warm up + 2 games of a match. I played a heavy hitter recently 2 days in a row and broke the Revolve 17 in just 3 1/2 hours but he hits really hard and we end up in a lot of cross court exchanges. I hit with an extreme SW grip on the forehand and backhand wing(1h) which probably is why I don't really don't have many complaints about the lack of tension. My baseline style is very cross court based and I'm not forced to go DTL that often. You should use thicker strings than 1.25 gauge on a 16x16 or else dont complain about durability. UC is much thicker than the stated 1.23 and it doesnt notch, so thats a good candidate. It may lose tension but you could pr vent that with prestreching. 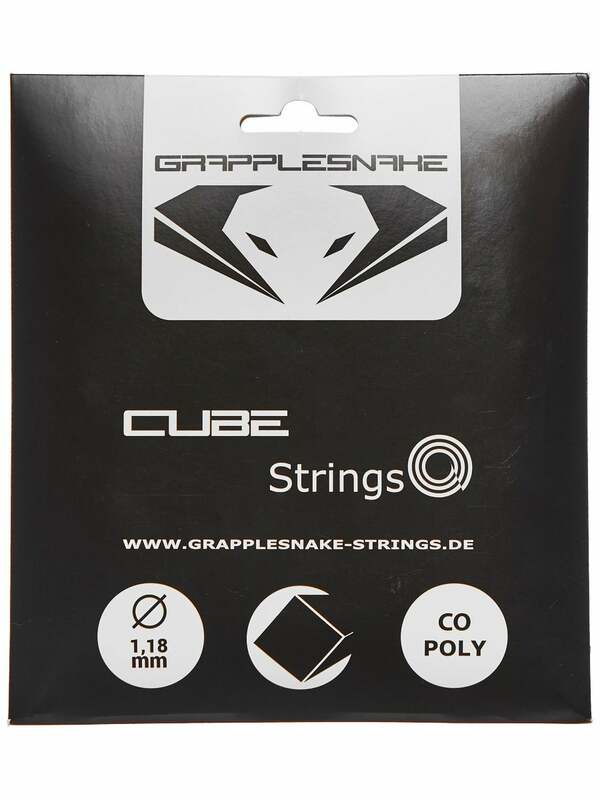 I've tried all sorts of strings looking for the right combo of durability, bite and feel. I was frustrated with UC after using it for nearly 2 years because I've been doing a lot of touch drills(drop shot, slicing in court balls out of the air and keeping them down, volley work in general) with my coach/team and I was bricking a lot of attempts. Switching to low tension on the UC seems to have softened it up without losing any high speed accuracy. I'm probably in the minority here but I thought UC was absolutely garbage. The playability and tension maintenance were terrible. I like WC strings in general (Silverstring and B5E are among my all time favs round and shaped polys respectively) but damn was I disappointed with UC. Probbably because there was a lot of hype for it. I did have wonderful spin, so full marks there, but that was very very short lived. I'm a 5.0 aggressive baseliner with full strokes and usually play with Div II college players, for reference. String at 50 lbs tension. What string are you using now? My main go-to string is RS Lyon. I do like to try new strings and I have Tier One Black Knight in couple of my TC97 at the moment. Both of these are great quality, premium feeling strings. My main go-to string is RS Lyon. This string is identical to the Weiss Cannon Silverstring and much cheaper. Very different actually. RS Lyon is lower powered, more spin and plays a bit crisper at same tension. You can clearly tell the difference when you up at the net or even when taking fuller swings at baseline. Plenty of players have tried both and can easily tell them apart @Power Player, @topspn @Faris @tennisgurl just to name a few. Very different actually. RS Lyon is lower powered, more spin and plays a bit crisper at same tension. You can actually clearly tell the difference when you are up at the net. Agreed. They are not at all similar. For goodness sake Silverstring is clearly not the same as RS lyon. Nothing similar between the two strings except maybe for the color. Silverstring is more powerful and has less control. I could tell that the moment I hit with it. Yes, I think @Power Player had a thread on rs lyon a long time back and a few people compared silverstring and rs and consensus was that it was indeed a very different playing string. Wow. Those are actually the best arguments I've ever heard. One of the biggest string dealers in Europe swears that they come from the same batch. This string is also available as no-(popular)name. No matter - who screams loudly is always right! lol, yes what better way to rebut an argument by anecdotal evidence. I have an uncles who's close friend's sister's huband's brother's son told me that rs lyon is grown on trees too Play with the string yourself and see the difference firsthand instead of just going by what "someone" said. If you have ever payed silverstring you would know it is absolutely different. And I am not a rs lyon user myself so it is not like I am a huge fan or anything, I play with Solinco strings. Bro, see my signature. I use both of these strings regularly. I purchase reels of them for tournaments. Also recently started stringing for some clients as well. Trust me, very very different. But off course, you are welcome to believe what you want. To be honest, I would like nothing more than to find a cheaper alternative granted it plays the same. Can you tell me which no-name or generic string you are referring to? I have tried a bunch of strings who some said were similar but did not play like RS Lyon at all. I have no affiliation with RS brand and I didnt like any other product from them except for Lyon string. In fact, I'm a Rafa fan so technically I despise Soderling, lol. Like I said, if I can find something easier on the wallet, I have no qualms in switching. It just has to have the same attributes. My observation about ultracable is inline with what few wrote here. My youngest son is actually regionally ranked and will be going off to college soon. We had him switch over to a hybrid a few years back and now he is on full poly as his coach wanted for him for a while. My biggest concern was arm health but I begrudgingly allowed it. And what a surprise, he likes Alu Power, the most expensive one that his dad has to buy haha. I am fortunate enough to be able to afford it but like most agree the string loses its magic after a few hours. In his quest for other polys he tried a lot and ultra cable was one of them. It died faster for him than Alu Power so we never even considered it as an option. But it did give great spin. I read somewhere above where someone suggested hybriding ultra cable. Oh my, I can not see that happeneing. High level players with full swings and fast racquet head speed will snap whatever they hybrid ultra cable with I think. RS lyon was a good option as it lasts longer but in the end it is more expensive although less than alu power. These days he is trying Diadem strings and really liking them. Once you know, please share here @haqq777 - most of us are lazy, we don't climb trees. We just wait under trees with hands up in air to catch reels of strings of RS Lyon falling down on us left and right since you know, they grow on every other tree apparently. Yesssss. People got up in arms over this when i said it before. Also some trolls claimed that rs was just a marked up version of a generic string but its been years and that generic string has never been identified. Silver string at best, is a replacement for me if i dont have RS. But its not the same. Hmmm. Brand new account coming in with this old argument? If you send the string to Haqq and he verifies it to be true, i can assure you that you will have some converts. There is no reason anyone would buy rslyon at its cost if a generic solution exists that is actually as good. Do you think I swam here on noodle soup? What does that have to do with my brand new account? I think I can say my opinion here. You can do what you want - your decision. RS Lyon was pretty average for me, but it's certainly not like Silverstring, Cyber Flash, or Big Hitter Silver. 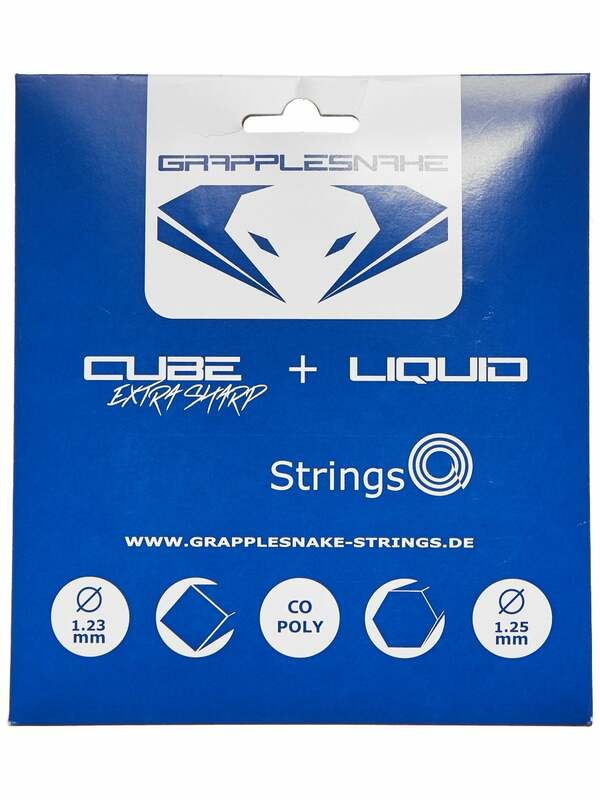 Just ordered two sets of Grapplesnake Cube 1.18 and Cube Extra Sharp/Liquid 1.25 hybrid. Can't wait to compare with UC!!! In his quest for other polys he tried a lot and ultra cable was one of them. It died faster for him than Alu Power so we never even considered it as an option. But it did give great spin. I read somewhere above where someone suggested hybriding ultra cable. Oh my, I can not see that happeneing. High level players with full swings and fast racquet head speed will snap whatever they hybrid ultra cable with I think. Ultra Cable is a muted feeling poly and pretty soft. Very different from ALU Power. I actually like muted feeling polys and I think a lot of people would call them dead. I liked the feel of ALU Power too, but that feel goes away really quick and when that feel goes it's kind of like losing your puppy. Sad and frustrating because all you want is to find it again. But parted of the reason I like more dead feeling softer polys is that they play the same for a long time. I used to play Kirschbaum competition and I could let a frame sit in my bag strung for two weeks unplayed and pull it out and it felt almost the same as the frame I just broke the strings on. I really like that consistency because I don't want to feel like I need to restring every match. So far UC for me is performing pretty much the same as my favorite Kirschbaum strings just a bit softer feeling and a bit more spin. I am also playing with a softer frame now too though, so my perception of it's softness may be a bit biased. Someday I'll try it in my old frames and see if I have the same impression, but for now it seems to be a keeper. But parted of the reason I like more dead feeling softer polys is that they play the same for a long time. And the key is to find, anticipate the optimal tension. Yes, well said. Ultracable is a more dampened and deader feeling poly and that is not everyone's cup of tea. I personally like more livelier stringbeds but that is just everyone's taste. But the biggest put off for us was the playability. The string died very quickly and balls started sailing long. The feedback changed from muted dud to harsh dead and you could tell the string was done. Granted my son hits a big ball and takes big cuts, but still. It really simply failed to make an impression. But if it suits some, for sure, I would say go for it. My experience could be completely different than others and what might not suit me may just turn put to be someone's holy grail in strings. My brother in law is actually a big Kirschbaum fan. He used to play college tennis back in the 70s and ever since Guga won French Open, has been a polyester string fanatic. Coming back to topic, the thing about Kirschbaum is that they are factory pre-stretched. I am not a fan of how they feel as well, in all honesty. Same for my son. We got a demo sample pack from their US sales rep who was kind enough to guide us on each strings attributes. We tried different ones but in the end, my son did not like them much so we went further on with our search. Personally I have played with both regular and rough version of Max Power and Pro Line II quite a few times and while I loved tension maintenance and playability, I never really liked the feedback from stringbed. But you are right about consistency in feel, for sure. What racquet are you using? I'm curious because ultracable does not exactly play very soft. I had a few people try my son's racquet setup since I'm sort of a helicopter parent as he calls it lol. Anyway, as matter of fact the consensus among our team was that it plays crisp and on firmer side. I wouldn't recommend this to beginner level players or those that don't have proper long strokes to really maximize this strings potential. Ours was strung low too, in high forties. Yes, I also think it played fairly crisp and was very much on the firmer side which gave it great spin but wasn't soft feeling by any means. Mine was strung at 45lbs on constant pull Gamma ELS 5800. When I think soft, I think Polyfibre TCS, Tourna BHB7, Isospeed Cream or even Cyclone Tour. Yes, I would also add MSV Focus Hex Soft in that list of soft playing polys. Have you tried Technifibre Black Code? That is also very soft playing in my opinion.